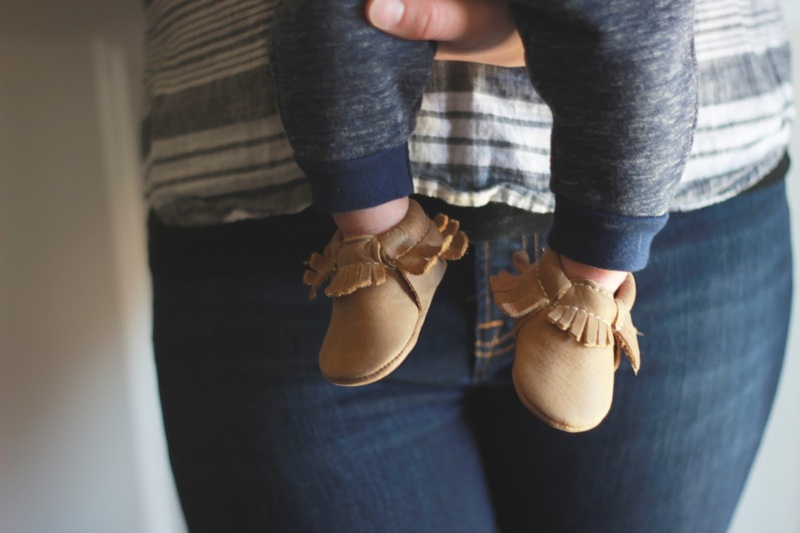 A Picture Worth A Thousands Words - The Mrs. & Co.
Is there anything sweeter than itty bitty baby feet? I just want to kiss his toes all day long! I find myself taking pictures of my sweet boy daily. Wanting to document every part of him and every moment has become my favorite thing! Every day I am learning more and more about photography. I get asked why I want to learn to take pictures and in the end, it's all about my babies. It's no longer about me. I want to see my babies grow up and document it along the way. 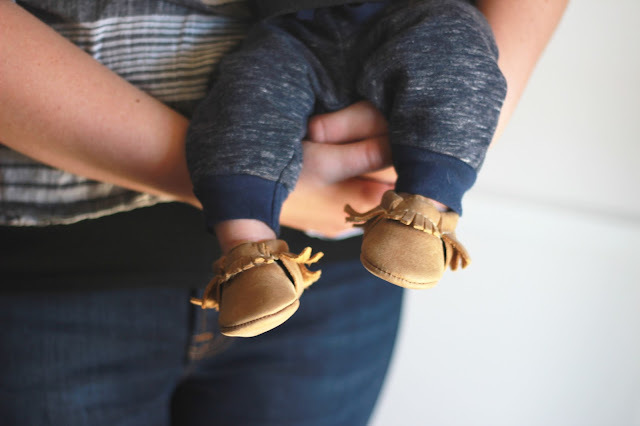 These pictures may just look like pictures of moccasins to you, but to me, they are documenting how tiny my sweet boy was. Even though he was almost 10 pounds at birth, he's still tiny. And I want to remember him this way. I see his adorably, cute chubby cheeks and that little chin dimple that makes me smile as I remember seeing that same dimple on his ultrasound at 35 weeks. 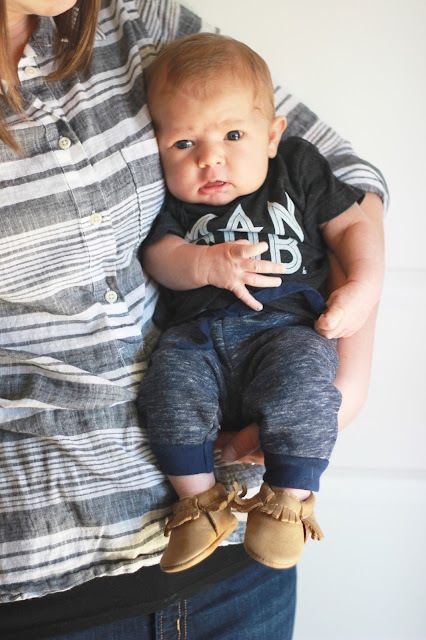 I see pants that are a little too short because he was such a big boy at birth. 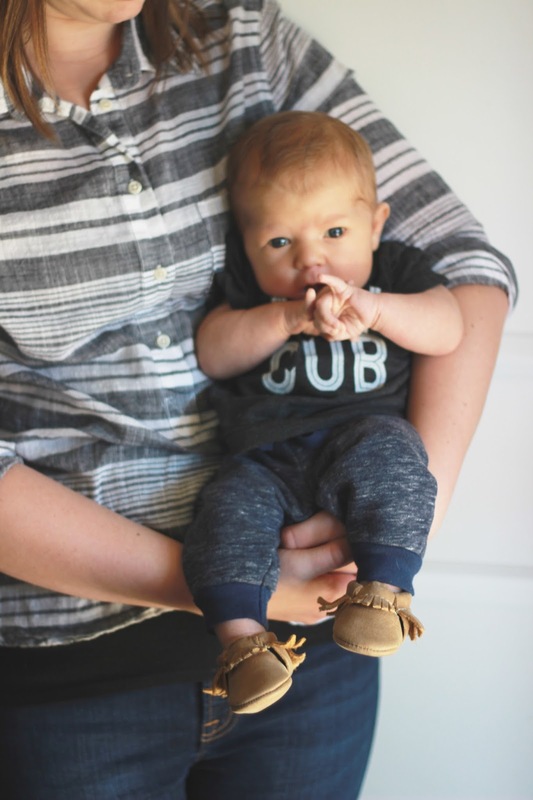 It reminds me how I didn't have any clothes that fit him because I bought all newborn sizes. Oops! These pictures are my life. My heart. Having these pictures are something I will treasure for life. Moccasins provided by Freshly PIcked for this photoshoot. I take so many pictures too because I don't want to forget any of it! I've never realized how much a child takes up memory on ur phone. You need to examine this site for some info on how to write essay of your dreams. I think that this could be useful for your future.